Welcome everyone to our Tag Friday post. With the changes we've brought in for the new birthday year we thought you might like to join in and share what tags you have been making. There isn't a prize and we're not promising any comments but the Host of this month's challenge (me) will choose one of those submitted as a Pinworthy and it will be pinned on our Pinterest Board and showcased in next month's Winner's post. To enter link one or as many tags as you want that have been made and blogged in this month (ie the 1st to the 31st March). The linky will close midnight on the 6th April which is when the new challenge begins so you have one week to get your entries in but remember they can come from any March 2018 blog date. Have fun. Here are our tags for your perusal which I'm sure you will enjoy looking at and get some inspiration from. More details can always be found on the blog of each of the Creative Guides taking part. 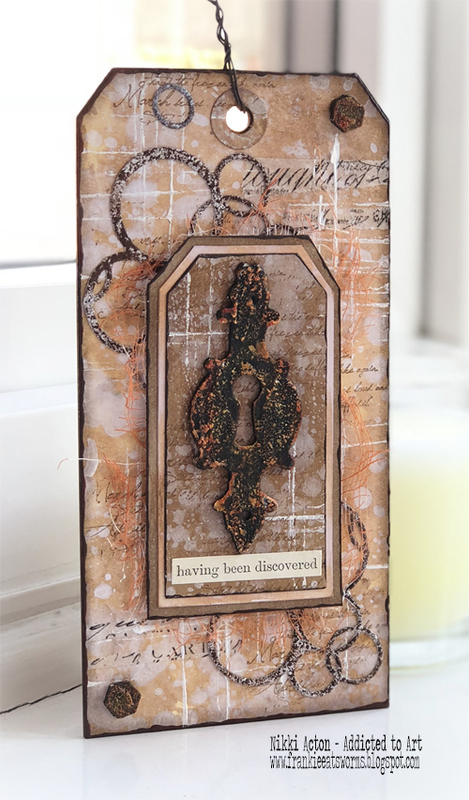 I used this Tag Friday piece as an opportunity to recycle some elements from my bits box (which I think a few of us have done) and get the sewing machine out for a change. More details can be found at Bumblebees and Butterflies. 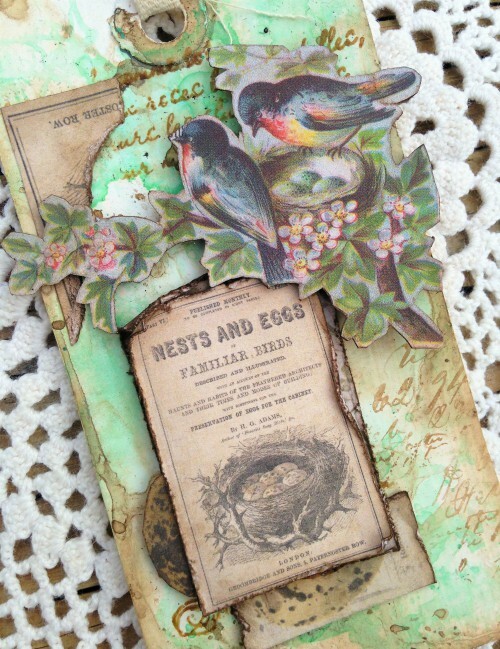 Since it's almost Easter, and the birds are starting to nest, I choose to make a pair of spring themed tags using up some of my Wallflower Paper scraps. Please come visit sarascloset if you would like to see the other of the pair. 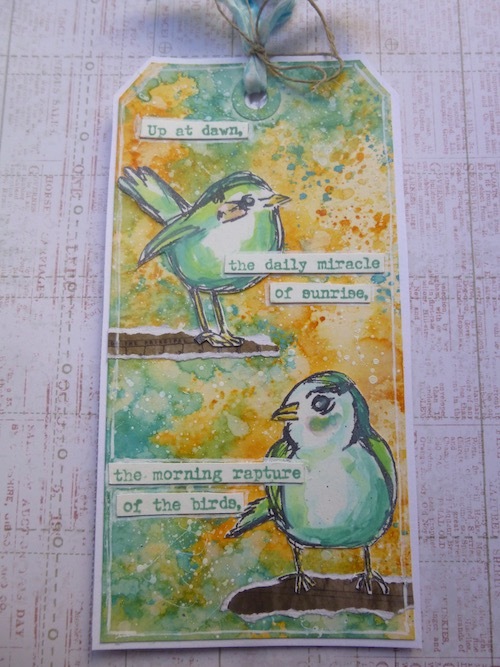 I have had a great time using some of my much loved Seth Apter products , both old and new to create my 'Tag Friday'. 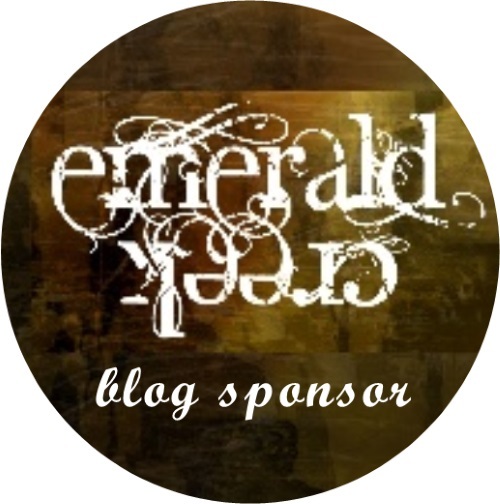 Please feel free to stop by my blog to find out more . It is always great fun to create for our Tag Friday with what's on the desk and new products which have recently arrived. My tag is made up of some of both! 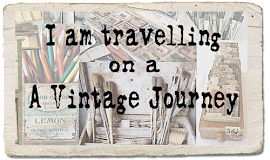 Do please join me over on my blog if you would like to see more details. This was very much a 'start with no plan and see where you end up' creation! 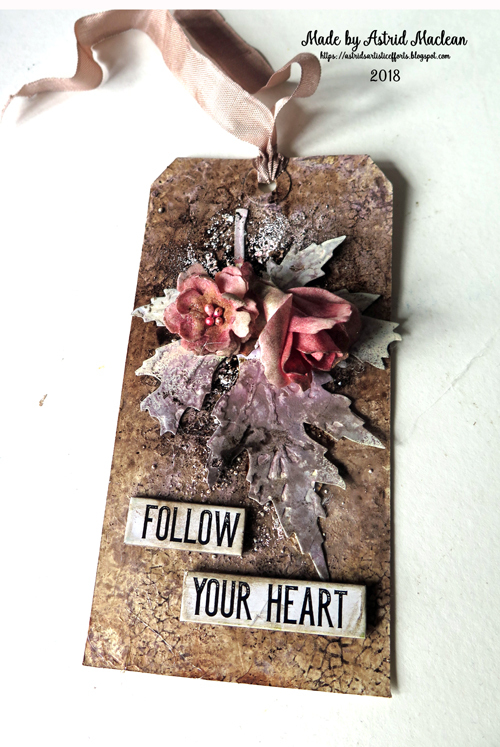 Distress Oxides, Gesso, Texture paste and Deco Art Media Fluid Acrylics are all used to create this layered tag. 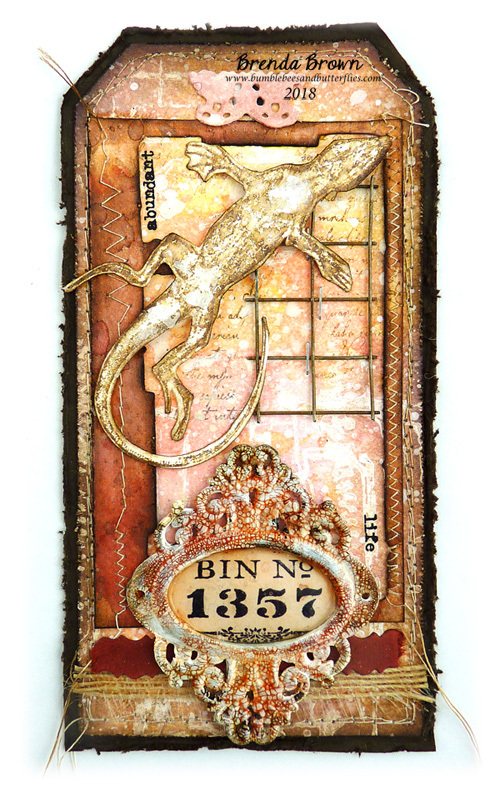 You can see more details and photos at Addicted to Art. My tag resulted from a messy desk - lol! 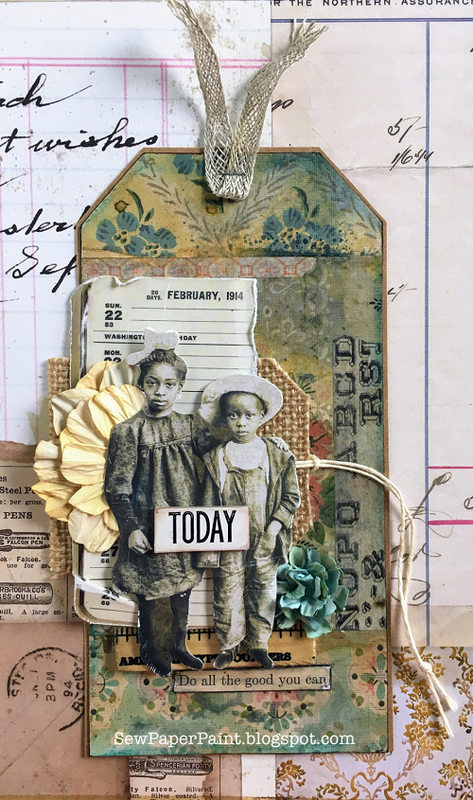 I pulled together bits of Tim's new Worn Wallpaper with a couple of handmade flowers and made a simple collage style tag. Get the scoop at SewPaperPaint. 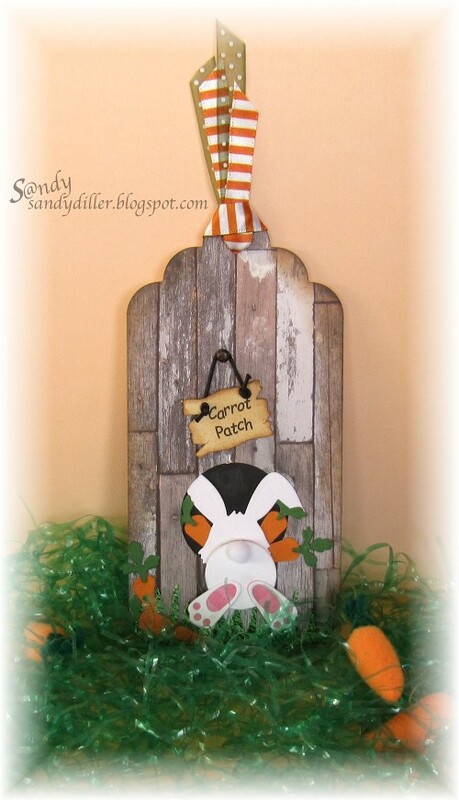 With Easter being so close - I wanted to take you on one last trip to the Carrot Patch. The Easter Bunny is stocking up for his big day. To see more details on my tag, please visit my blog HERE. I didn't think I'd be here - time and mojo have been busy with other things - but then I realised I would be missing Tag Friday for the first time ever if I didn't join in, and I couldn't bear that thought! 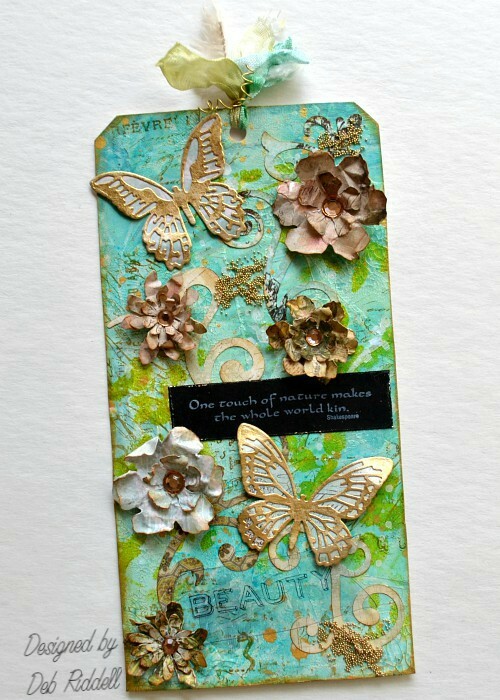 So I managed to convert one of my Oxide backgrounds from back in February into a cheery springtime tag. Do come and see the details over at Words and Pictures. 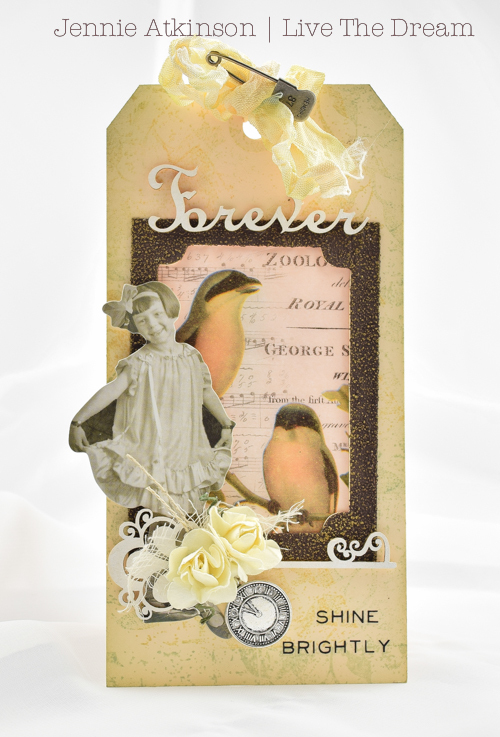 The arrival of Spring is proving to be very elusive here in Western Canada, so I made this Spring Beauty hang tag for Tag Friday in the hopes that it might speed Mother Nature up just a bit! I have some step out pictures on my blog, hope you can pop on by for my how to. Wow, don't we have such fabulous tags here with so many designs and styles, I'm sure you'll find something that inspires you. 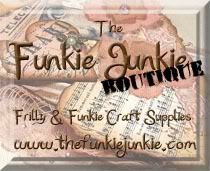 We are looking forward to seeing your tags so don't forget to go and link them below, we love seeing what you make too. See you next Friday with the next new challenge. Wonderful tags ladies, I love the variety of subjects and creative way you have put them together. So much fun to see. Wow! 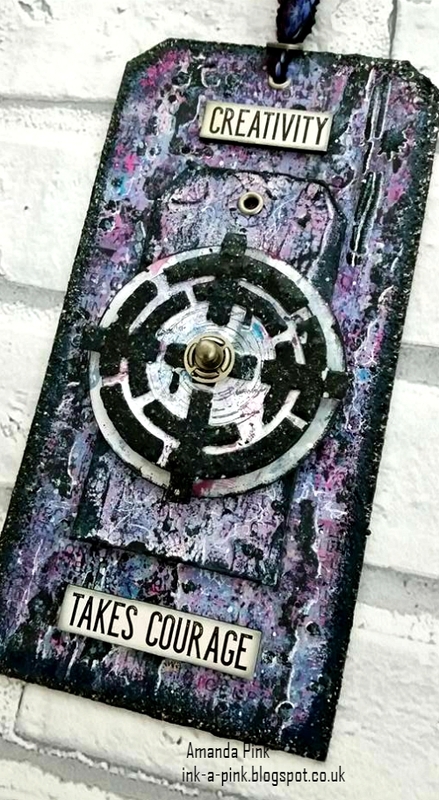 What a fantastic gallery of creativity offering a wealth of inspiration! Everyone. A fabulous Easter treat. This has always been my favorite feature at AVJ and this month just wows me! I'm amazed at each of your creativity. Truly an inspiring post. Happy Easter to my teamies and our incredible followers. visiting from Autumn's blog and happy to join in. Gorgeous inspiration here! How I love Tag Friday! Gorgeous tags all round - and lovely to have time to see them too! Wow great tags, all them are so different, they have given me a lot of ideas. Happy Easter. Hugs. these are very beautiful tags!